This post is sponsored by Fama. All opinions and thoughts are my own. 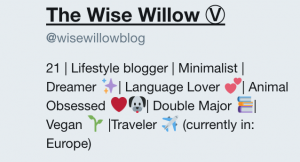 Thank you for supporting the brands that support The Wise Willow! I started a series on my blog about a year ago called Monthly Musings, where I planned to write about topics that were appearing in my reflections each month. That series fell through for the majority of the year, but I am feeling inspired to bring it back again! It is already almost December and just yesterday it felt like I was in awe over how the summer had come to an end so quickly. Each day passes me by in the blink of an eye, and before I know it months pass and turn into years. This month I have found myself thinking about connection and communication in the spare moments I have throughout my day. Specifically, I’ve been thinking about technology and how it has been impacting my life. This all came about when I realized how people I have met this year prioritize communication and connection. Instead of making arbitrary plans for the future, they would reach out to someone and connect then and there. They would recognize the need to reconnect with someone or to spend time together, and would make sure that it was a priority in their daily life. I have been inspired by this, and have aimed to be more intentional about how I communicate and connect with others. One of the hardest things about being abroad for much of the year has been my lack of letter writing. Writing letters each week has brought me so much joy for years, and is something that technology just can’t replace. 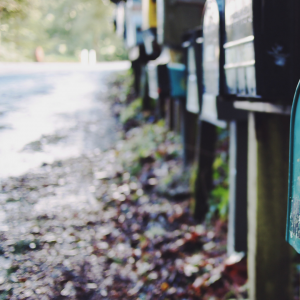 I have already made a plan to write to more people more often when I return home, and in the meantime have been thinking about ways in which to make my communication with others intentional and purposeful. As a blogger, social media is something that takes up a lot of the time in my life. It is something that I love (most of the time), but I have come to realize that it can truly limit how I connect with others. I have always tried to be intentional about social media. In fact, I didn’t sign up for any form of social media until I was a senior in high school (this includes Facebook!). I slowly added new media forms into my daily routine, being mindful of what I posted and what my intentions were in doing so. One of the reasons for this is employment, because in the age of social media our lives become more accessible. Employers often look at social media accounts as a way to gain more information about potential employees prior to the interview and hiring process. This process is known as a social media background check (or social media screening), and is conducted by companies like Fama for employers worldwide. Social media can often have a positive influence in this regard (if you post about your passions and goals, for example) but it can also be detrimental. Whenever I post something, whether ‘private’ or ‘public,’ I always assume that anyone all over the world can see it. With this lens, my social media posts become more intentional and prioritize what I truly want to share with the world. I have also been reflecting about intentional social media posting in light of my own experiences of feeling as though social media isn’t an accurate depiction of reality. I absolutely love scrolling through creative Instagram photos, witty tweets, and incredible Facebook updates, but I do so while reminding myself that these are just snapshots of a larger image. During down days, seeing seemingly perfect social media updates is often not the most useful. Because of this, I try to frame my own posts in a way that is still authentic yet creative. Sara of SaraLaughed and I at a tea house in Amsterdam! Social media can often serve as a road to true connection, and a constant presence of positive influence. I have found this to be the case with Twitter, in that I have managed to meet a few of my Twitter friends after two full years of following each other’s content! 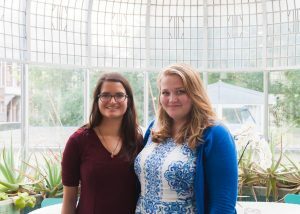 I have connected with other creators in my niches (college blogging, sustainability, veganism, etc.) through Twitter chats and projects, which makes me feel as though I have a support system wherever I go. Social media can also serve as a means of maintaining connection over continents. I was able to meet so many wonderful people this year who filled my heart with joy, and I feel so blessed to be able to keep in touch with them via WhatsApp and other online texting apps! This is one of the hardest parts about being intentional with social media and communication. Finding the balance between online media, in-person conversations, and thoughtful reminders can be a challenge. Traveling has definitely added to this complexity, limiting the feasibility of some of these forms. However, I’ve realized that it just takes true effort to navigate these dynamics. Yesterday, after realizing that I had been thinking about finding the time to Skype with a friend in a different time zone for weeks, I messaged them the times I was free and we Skyped for nearly two hours. This made me realize that connection isn’t as complicated as we make it, and that we must be intentional and purposeful in how we approach it. DM a blogger or creator whose post you just read to tell them how much you loved it. Send an email with life updates to a colleague or friend who is far away. Scroll to the bottom of your WhatsApp chats and message someone you haven’t talked to in a while. Call up a local friend to meet for tea. Take a walk in the city on your own and be fully present, communicating with those that are taking the same path. Buy a wax seal kit and send letters to people who mean a lot to you, reminding them why they do. Message a new coworker and propose a lunch to get to know them better. Skype call with someone you haven’t seen face-to-face in ages. Post a thoughtful social media update about your recent endeavors. Make a purposeful effort, and you will find that you feel more connected than ever before. Thank you for reading through my musing for this month! 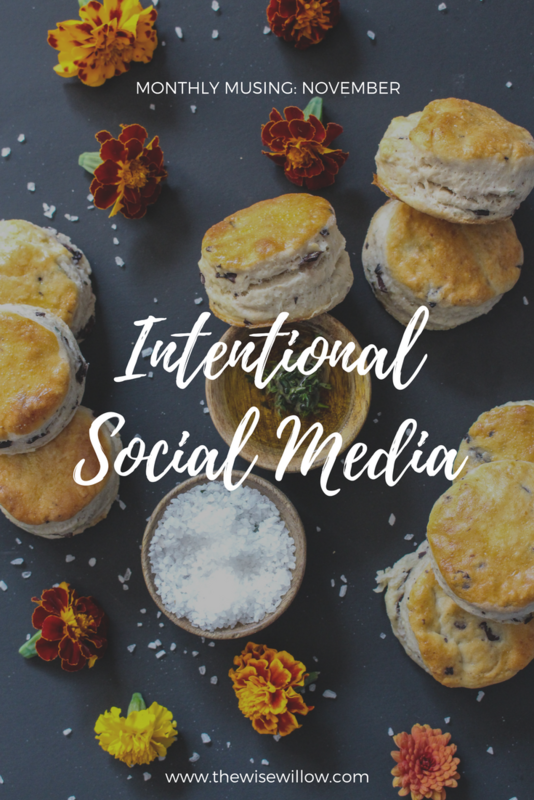 With the semester coming to a close and my trip home approaching, I have been thinking about how to be more intentional with my social media and forms of communication. How do you go about being intentional in your day-to-day life?